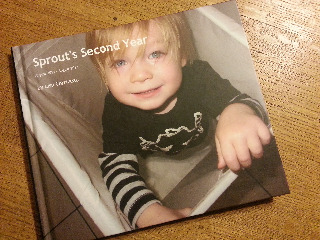 Here's our first Blurb photo book. Now through Monday, 12/17 create the perfect gift and get 25% Off with Blurb when you use promo code FINALHOLIDAY. You can create a fabulous photo book with Blurb in just 1 night by uploading your Instagram and Facebook images. And remember, to receive your Blurb Book by Christmas place your order by 12/17! Don't miss out on these great savings and create your Blurb book today! Disclaimer: This is a sponsored post & as a Blurb Affiliate, I get a small commission if you follow one of my links above & order a book from them.